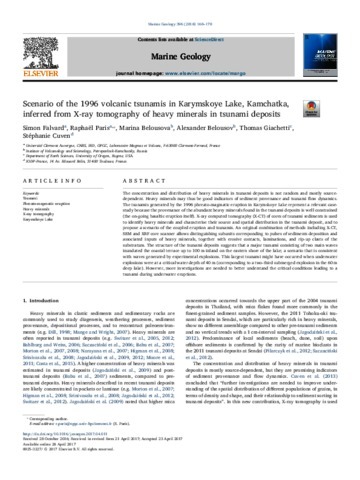 Edwards Benjamin R., Belousov Alexander, Belousova Marina, Volynets Anna Introduction to the 2012–2013 Tolbachik eruption special issue // Journal of Volcanology and Geothermal Research. 2015. V. 307. P. 1 - 2. doi: 10.1016/j.jvolgeores.2015.12.001. Erlich E.N., Melekestsev I.V., Braitseva O.A. Evolution of Recent Volcanism // Bulletin of Volcanology. 1979. V. 42. № 1-4. P. 93-112. doi: 10.1007/BF02597042. Fedotov S.A. Eruption Forecasting of Volcanoes in Kamchatka and Kurile Islands // Kagoshima International Conference on Volcanoes: Proceedings of the International Conference on Volcanoes, Japan, Kagoshima, 19-23 July 1988. Kagoshima: Kagoshima Prefectural Government. 1988. P. 172-178.